American culture is the result of the great melting pot. People came from everywhere, bringing their best and their worst, and built the best lives they could using the blend of freedom and opportunity found on our shores. The result was the American dynamism which became the envy of the entire world in the Twentieth century. Sometimes the best perspective of America and what makes her great is that of an outsider because America is a land of outsiders. Billy Wilder was born in an Austro-Hungarian which was decaying around him, in Sucha, Poland, 1906. What we call The Great War was the background of his boyhood, and he came of age in a shattered Europe desperate to recover from its effects. Given the name Samuel Wilder, his mother began calling him "Billie" after Buffalo Bill Cody and his famous Wild West Shows (he had an older brother, William Wilder, who also became a screenwriter). Growing up, Wilder fell under the influence of Jazz, the Charleston, and Douglas Fairbanks. His parents ran a moderately successful string of railway station cafes and hoped he would join the family business, but he went to university to pursue a legal career. Working in the legal system of a decaying society lost its appeal, so he turned to writing and journalism. Editors found Wilder's knowledge of American culture to be marketable. He was called upon to interview band leader Paul Whiteman during his European tour, and the Jazzman was so impressed that he made Wilder part of his entourage during the Berlin leg of his tour. In Berlin, Wilder kept his finger on the pulse of popular culture and developed contacts in the German cinema community. He wrote the screenplay for Menschen am Sonntag (People on Sunday, 1930), which became a classic portrait of the German people during the Weimar period. As a worldly and informed Jew, Wilder was under no illusions when the Nazis came to power, and he fled to Paris. Here among the community of artistic refugees, he got his first chance to direct. The result was Mauvaise Graine (Bad Seed, 1933), the story of a rich young man descending into moral disintegration. He continued to write, and a friend sent one of his scripts to another friend in Hollywood, which resulted in Wilder getting an invitation to come write there. Wilder pointedly made the crossing on a British liner rather than a French one, but he still arrived in Hollywood in 1933 with little command of the English language. He was, however, a fast learner. Wilder expanded his network of contacts (he shared a room with Peter Lorre for a time) and finally landed an assignment to collaborate on the screwball comedy Ninotchka (1939, featuring the tag-line "Garbo Laughs"). He received an Academy Award nomination with his writing partner, Charles Brackett, and the film nearly helped to revive Greta Garbo's faltering career (it was, in fact, her penultimate film). Wilder's Hollywood directorial debut came in The Major and the Minor (1942). He was determined to have a mainstream hit so he could avoid being "stuck in front of a typewriter" for the rest of his career, and wrote the farcical comedy with Ginger Rogers in mind. 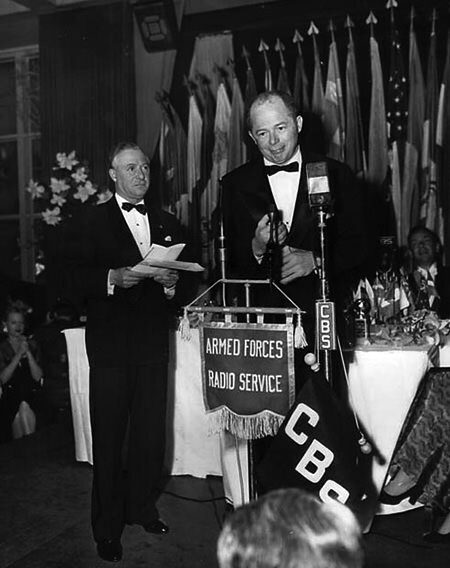 Rogers, who had just won the Oscar for Kitty Foyle (1940) was in a position to name any director she wanted, but after meeting writers Wilder and Brackett for lunch so they could pitch the project, she decided to give the neophyte director a chance, finding him to be a "European gentleman". Double Indemnity (1944) solidified Wilder's reputation as a director. The screenplay was co-written by Wilder and pulp fiction icon Raymond Chandler, based on a novella by James M. Cain. The story was thought to be unfilmable under the Hayes Code because adultery was central to the plot. Although the film is considered a work of genius, Chandler and Wilder did not get along. It was the pulp writer's first experience in Hollywood, and he claimed he would draft a screenplay in just over a week. Shocked, Wilder informed him that they would be working together and the writing would be slow and meticulous. Although Chandler's screen suggestions were nearly useless, Wilder quickly realized that his sense of dialog would work great in cinema. Although Double Indemnity was not Hollywood's first film noir, it helped to set the standards for the genre with the narrative elements of The Maltese Falcon with the stylistic elements of Citizen Kane. When the Nazi concentration camps were liberated at the end of WWII, the Psychological Warfare Department of the State Department sent Wilder to produce a propaganda documentary to educate German citizens on the atrocities committed by the Nazi regime, entitled Death Mills or Die Todesmuhlen. In 1945, he won the Oscar for Best Director and Best Screenplay for The Lost Weekend, another difficult picture to make under the Hayes Code because the subject matter was alcoholism. Wilder's artistic triumph came with 1950's Sunset Boulevard. The story of the reclusive silent screen star with delusions of her greatness starring Gloria Swanson and William Holden received 11 Academy Award nominations and Wilder won for Best Writing. From the middle of the 1950s, Wilder returned his focus to comedies. He directed Audrey Hepburn in Sabrina (1954) and Love in the Afternoon (1957), and Marilyn Monroe in The Seven Year Itch (1955) and Some Like It Hot (1959). Wilder's satire, The Apartment (1960), brought him Oscars for Best Picture, Best Director, and Best Writing (the film also won for Best Editing and Best Art Direction, Jack Lemmon and Shirley MacLaine were nominated in the Best Actor and Actress categories). It has been widely supposed that Billy Wilder began directing to protect his screenplays from directors who were too anxious to make changes to his work, but his greatest genius was getting the best performances out of his actors. 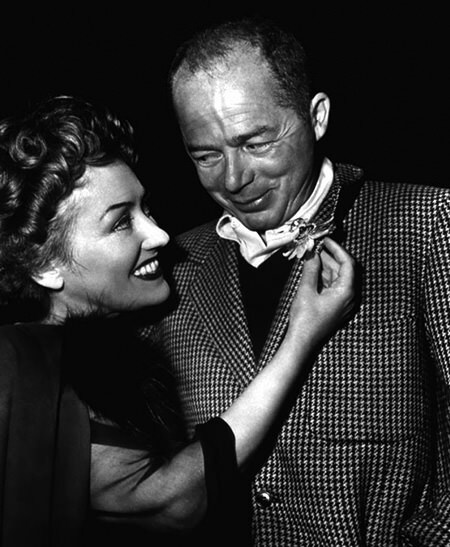 His intricate plotting and memorable dialog made Billy Wilder pictures especially appealing to radio adaptations like Lux Radio Theatre, Screen Directors Playhouse and The Lady Esther Screen Guild Theatre. Billy Wilder retired from filmmaking after 1981 and went on to amass one of the most impressive art collections in Hollywood, mostly of Modern Art. He passed away in 2002 after battling pneumonia and cancer at the age of 95. A Star on the Hollywood Walk of Fame at 1765 Vine Street honors Billy Wilder's contributions to Motion Pictures. The epitaph on Wilder's tombstone reads: "I'm a writer but then Nobody's perfect". 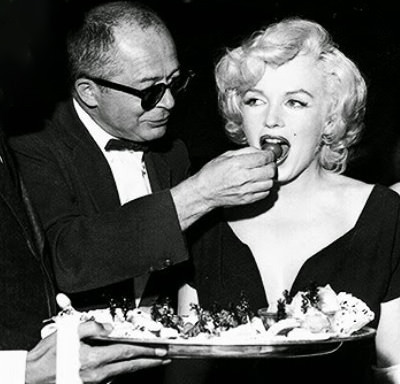 Be the first to comment on "Billy Wilder"